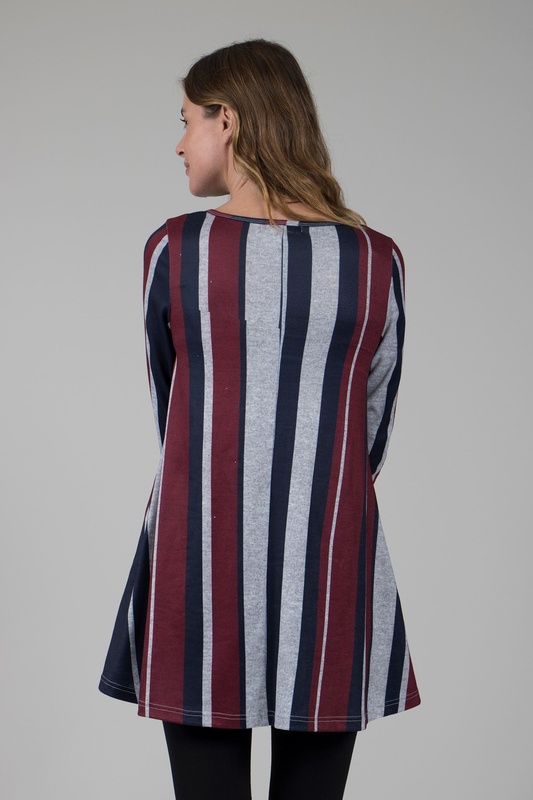 Go casual, look cute in this gorgeous striped swing dress. Featuring a round neck, long sleeves and knee length fit. Wear with tights and ankle boots.